Photos and Videos: Alex Harvey Is Quebec Gold! Photos and Videos: World Cup Final 15km Cl - Lenny 3rd, Devon 5th! Photos and Videos: Alex Harvey Gold And Devon Kershaw Bronze in World Cup Finals! XC News: Alex Harvey And Devon Kershaw Celebrate Gold And Bronze Medals On Magical Day At World Cup Finals! Photos and Videos: Vasaloppet: What Was It Like? Watch All 287 Minutes Here. Environment: Warm Weather Here to Stay? Photos and Videos: Lenny Valjas Wins Silver In World Cup Drammen Sprint! 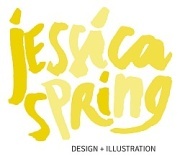 "Jessica Spring - Illustration + Design"